Section 165 of the NSW Local Government Act 1993 requires that the Local Approvals and Local Orders Policies of the Council be automatically revoked at the expiration of 12 months after the declaration of the poll (14 September 2012) for a general election of the Council. 1 That the Draft Local Approval Policy - Stormwater Drainage from Buildings, Structures and Disposal of Waste Water from Swimming and Spa Pools on large rural properties in excess of 20Ha in area, be exhibited for 28 days and that Council receive comments for 42 days from the commencement of the advertising period (in accordance with Section 160 of the NSW Local Government Act). 2 That the Draft Local Approval Policy - Keeping of Animals, be exhibited for 28 days and that Council receive comments for 42 days from the commencement of the advertising period (in accordance with Section 160 of the NSW Local Government Act). 3 That the Draft Local Approval Policy – Use of Road Reserves and Public Land for A-Frame Signs, Outdoor Dining Areas, Trading Tables, Street Vending and Other Structures by Commercial Premises, and Community and Charitable Organisations (2009/2010), be exhibited for 28 days and that Council receive comments for 42 days from the commencement of the advertising period (in accordance with Section 160 of the NSW Local Government Act). 4 That a further report be prepared for Council Meeting, to be held on 13 September 2013, to consider the adoption of the policies following the expiration date for the receipt of submissions, noting that the Director General’s consent must be received with respect to that part of the Local Approvals Policy (Part 1) that deals with exemptions from the need to obtain Council approval, prior to adoption by the Council. No options as the policies will be automatically revoked on 14 September 2013. Section 68 of the NSW Local Government Act 1993 lists a number of activities that require approval. The purpose of the Local Approvals Policy is to specify the circumstances where council approval is not required before carrying out an activity as well outlining the criteria that will be considered in determining an application. It addresses activities such as busking, footpath dining, street stalls, street trading, etc. 2 Draft Local Approvals Policy – Stormwater Drainage from Buildings, Structures and Disposal of Waste Water from Swimming and Spa Pools on large rural properties in excess of 20Ha in area (adopted 7 July 2011). 3 Draft Local Approval Policy – Use of Road Reserves and Public Land for A-Frame Signs, Outdoor Dining Areas, Trading Tables, Street Vending and Other Structures by Commercial Premises, and Community and Charitable Organisations (2009/2010) (adopted 17 September 2009 and amended 21 January 2010). Section 159 of NSW Local Government Act 1993 enables Councils to prepare a local orders policy to specify criteria that are to be considered when determining whether to issue an order under section124 of the NSW Local Government Act 1993, specifically to require that certain actions should be done or not done. Orders can address a wide range of animal management, development compliance, safety and environmental protection matters and often address matters arising from complaints from members of the community which reside in various legislation, including the NSW Local Government Act, the Companion Animals Act, the Environmental Planning and Assessment Act, the Protection of the Environment Operations Act and the Swimming Pools Act. The Acts are very specific in relation to the procedure for issuing notices of intent to issue an order and orders. Accordingly a manual for issuing notices and orders was prepared in 2001 with the assistance of Councils legal representative (Deacons). Further departmental procedures have been developed over the course of time. Whilst it is not a regulatory requirement to have a Local Orders Policy such a policy describes the means by which the Council strives to achieve an appropriate balance between regulatory and non-regulatory measures. Council may consider instituting a Local Orders Policy which formally identifies the responsibilities of various stakeholders in protecting amenity and safety of the neighbourhood at a local level whilst at the same time, in a broader sense, the environmental qualities of the Shires area and also promotes consistency in the decision making by providing guidance to Council officers. Over the last few years legislative changes have seen most of the activities previously listed under s.68 of the NSW Local Government Act 1993 transferred to the Environment Planning & Assessment Act (EP&A). Those matters that currently remain in the Act require definition to ensure consistency and fairness in the manner in which the Council deals with exemptions and applications for approval. The attached draft is substantially the same with changes only to reflect current legislation. Section 162 of the NSW Local Government Act 1993 states that Council is not able to adopt that part of a draft Local Approvals Policy that specifies circumstances in which (if the policy were to be adopted) a person would be exempt from the necessity to obtain a particular approval of the Council, unless the Council has received the Director-General’s consent. Accordingly, and prior to any report to the Council for adoption, a copy of Part 1 of the Local Approvals Policy will be forwarded to the Director-General for consideration and consent. Copies of the draft Policies will be available during the exhibition period from Council offices and branch libraries. The documents will also be available on the website. (1) A council may prepare a draft local approvals policy. (2) A draft local approvals policy is to consist of three parts. (3) Part 1 is to specify the circumstances (if any) in which (if the policy were to be adopted) a person would be exempt from the necessity to obtain a particular approval of the council. (4) Part 2 is to specify the criteria (if any) which (if the policy were to be adopted) the council must take into consideration in determining whether to give or refuse an approval of a particular kind. (5) Part 3 is to specify other matters relating to approvals. exhibited for a period of not less than 28 days. The public notice must also specify a period of not less than 42 days after the date on which the draft policy is placed on public exhibition during which time submissions may be made to the Council. Section 162 of the NSW Local Government Act 1993 requires the consent of the Director General to that part of a draft Local Approvals Policy that specifies circumstances in which a person would be exempt from the necessity to obtain a particular approval of the Council. That consultation will occur prior to adoption by the Council. The policies will be exhibited for 28 days from the 26 July to 23 August, with comments accepted for 42 days up to 6 September, 2013. A report will then be submitted to the Council Meeting on 13 September 2013 to adopt the policies. The Policy promotes consistency in the decision making by providing guidance to Council officers. The draft policies improve the procedural transparency of the Council’s decision making processes. f provide a mechanism for response where non-compliance issues with the policy are detected. This policy is to apply for exempt and complying developments undertaken under Council’s Development Control Plan for Exempt and Complying Developments, State Codes (SEPP Exempt and Complying Developments Codes), Construction Certificates, under the EP&A Act 1979 and Regulations 2000, where the drainage and waste water disposal system have been approved as part of a development consent. Drainage pipes are installed and used in accordance with the manufacturer’s Specification and AS 3500 – 2003, Part 3. 3.1 Large rural property – relates to property title sized 20ha or greater in area. On-site storage facility – includes the following structures; rainwater tanks, gutter storage facilities, landscape ponds, earth storage dams or reservoir created to contain and hold stormwater and swimming pool drainage water on a property. 4.1 This policy has been prepared to exempt the need to obtain an approval under Section 68 Part 5 of the Local Government Act 1993 to carry out stormwater drainage work associated with buildings, structures and waste water disposal systems associated with swimming and spa pools on large rural and rural-residential properties within the Shire. ix where buildings are constructed as exempt development, the stormwater drainage design and installation is to be undertaken by the principal contractor or the property owner to ensure compliance with sections 5.1-5.8 above. vi surface drainage water from around pool area is to be disposed of to subsurface trench on site and not disposed of above ground. The requirements to obtain approval to undertake stormwater drainage works are set out under Section 68 Part B of the Local Government Act 1993 with Council as the authorised authority. The option to provide an exemption to the provisions of section 68 may be provided in a Local Approvals Policy adopted by Council. The introduction of Exempt & Complying Developments and deregulation of the building construction approval process has created circumstances where Council is required to assess applications under Section 68 of the Local Government Act 1993 for stormwater drainage and to attend compliance inspections at sites where all other components of the building project are either exempt or being attended to by a private certifier. It is considered the impacts of drainage works on larger rural properties will have minimum impact on neighbouring properties when undertaken in accordance with this policy. The policy will reduce the demands on Council’s Building Surveyors to attend isolated rural sites to carry out drainage compliance inspections when works are under the control of a Private Certifier or are exempt development works. The purpose of this Policy is to supplement provisions of the NSW Local Government Act 1993 and Regulations by specifying matters that Council must take into account when determining whether or not to issue an Order under Section 124 of that Act. This Policy will allow Council Regulatory Officers and members of the public to ensure that the objectives of Schedule 2 Part 5 of the NSW Local Government (General) Regulation 2005 – Standards for Keeping Birds or Animals, are observed when taking these matters into consideration. This Schedule is attached to the end of this Plan as Appendix 1. (R1, 2, 3 & 4) or Residential/Village zones (RU5) and Large Lot Residential (Rural-Residential Areas) (R5) as well as Rural land abutting any of these previously mentioned zones/areas. Guidelines or obligations for the keeping of animals in rural zones (RU1, 2 & 3) are not prescribed or controlled by this Local Approvals Policy. Unless specified otherwise, the Act referred to in this Policy is the NSW Local Government Act 1993. A dictionary defining the most important terms used in this Policy is taken from the dictionary for that Act, listed as Appendix 3 of this document. The number of animals that may be kept at a premise is not to exceed the number shown as listed in the Table of Requirements included with this Policy. Suitable shelter should be provided for all animals. Certain types of animals are required to be kept in cages to prevent their escape or attack by predators. Generally, other animals are to be securely enclosed with adequate fencing to prevent escape. Animal shelters should not be erected or located at premises without first determining whether the prior approval of Council is required. To determine whether a proposed animal shelter complies with Council’s requirements, or requires approval, please refer to State Environmental Planning Policy (Exempt and Complying Development Codes) 2008, located on Council’s website at http://www.nambucca.nsw.gov.au. Ferrets, cats, pigs and deer must not be released into the environment. Generally, Council’s powers to control and regulate the keeping of animals are provided under Section 124 of the NSW Local Government Act 1993 and the NSW Local Government (General) Regulation 2005, Schedule 2 Part 5. Firstly, it must be established that the keeping of a particular animal within the zone or area is permitted under Nambucca Shire Council’s Local Environmental Plan. Secondly, where a problem is identified with keeping of animals and it cannot be resolved through consultation and mediation, the Council may proceed to issue notice of its intention to serve an Order. Normally a person will be given opportunity to make representation to Council prior to a formal Order being issued. In situations which Council believes constitute a serious risk to health or safety, an emergency Order to address or remove the risk may be issued without prior notice. Cats must not be released into the environment. Ferrets must not be released into the environment. The exclusion of greyhounds does not apply to greyhounds which are registered as companion animals. The keeping of pigs is prohibited in residential, urban or village areas. Pigs must not be released into the environment. Free lofting [defined as the uncontrolled release of pigeons] is prohibited in residential, urban or village areas. The rabbit is a declared noxious animal under the Rural Lands Protection Act 1989. However two domestic breed same gender pet rabbits, securely housed, are permitted per residential allotment. NOTE: Restriction on numbers is imposed by the NSW Primary Industries - Agriculture under the Rural Lands Protection Act, 1989. For more than one rabbit a permit must be obtained from the Rural Lands Protection Board. Free lofting [defined as the uncontrolled release of pigeons] is prohibited in large lot residential areas. Restriction on numbers is imposed by the NSW Department Primary Industries - Agriculture under the Rural Lands Protection Act, 1989. For more than one rabbit a permit must be obtained from the Rural Lands Protection Board. The National Parks and Wildlife Act, 1974 and Fauna Protection Regulations place a general prohibition on the keeping of reptiles. The Policy covers the commercial use of public footpaths and public land for, A-frame signs, outdoor dining areas, street vending (excluding mobile vans and hawkers), crazy day sales, trading tables and other structures used in conjunction with a business premises. ‘Other structures’ includes, but is not limited to; clothes racks; stands for other merchandise; promotional stands; street stalls; bargain bins; and, the like. § Place on the road reserve or public land A-frame signs, trading tables or other structures associated with or ancillary to an approved business in any un-zoned or zoned land under the Nambucca Local Environmental Plan 1995 or in any subsequent Local Environmental Plan. § Establish outdoor dining areas associated with an approved café, restaurant, or the like, on the road reserve or public land. § Operate a permanent commercial street vending activity (other than street stalls and the like, operated by community organisations and charities) on the road reserve or on adjoining land zoned 2(v) Residential (Village), 3(a) General Business, 4(a) General Industrial or 4(b) Industrial (Business) zones under the Nambucca Local Environmental Plan or equivalent zonings in any subsequent Local Environmental Plan. Street vending does not apply to hawkers and mobile vans not operating in a permanent location. § To regulate the use of the road reserve and public land for A-frame signs, outdoor dining areas, street vending, trading tables and other structures. § To provide guidance for the location of A-frame signs, outdoor dining areas, street vending, trading tables and other structures, on public land and the road reserve. Upon adoption of this Policy, any new proposals for A-frame signs, outdoor dining areas, street vending, trading tables and other structures are required to comply with the new approvals process. Subject to payment of the annual fee, all business premises that have approval under the previous registration system shall be allowed to retain their approved structures on the footpath until 30 September 2011. This concession only applies to the current owners/operators and will cease to apply if the business changes hands and/or the type of business changes. After the transitional period (30 September 2011) all structures shall be removed from the footpath unless development consent has been obtained from Council beforehand. The development application is required to comply with the provisions of this Policy, including a formal agreement for the exclusive use of outdoor dining areas, for which a market value rental payment is made to Council. A-frame signs or other similar signs are not exempt or complying development under Council’s Development Control Plan (DCP) No 10 – Exempt and Complying Development (March 2008). As such, a Development Application is required to be submitted for any proposed sign intended to be located on a public footpath. Applicants are required to obtain approval from Council (as the owner of the land) to lodge the development application. A Section 68 approval is also required under the Local Government 1993. To ensure there is no duplication in the approvals process, any development application approved for an A-frame sign or similar sign, will be regarded as approval under Section 68 of the LG Act. § Signs must be located within one (1) metre of the shop front (unless due to specific circumstances, it is required to be sited elsewhere)..
§ All A-frame or similar signs are required to be approved in accordance with Part 4 of the Environmental Planning and Assessment Act 1979. § The development application will be required to be submitted with supporting information. This information may include a photo and a sketch of the sign with details of the dimensions and location. § For the purposes of this Policy, any development approval for signs will be regarded as approval under Section 68(3) of the Local Government Act. § The owner is responsible for ensuring that the sign has approval and has been licensed by Council and that this is renewed on an annual basis and the annual fee is paid prior to the lapsing of the licence. § For A-frame or similar signs, Council’s registration year is from 1 October to 30 September. Fees paid between 1 October and 31 March will be as indicated on the application form. Fees paid between 1 April and 31 July will be 50% of those indicated on the application form (for a 6 month licence). Fees paid and approvals granted, between 1 August and 30 September will carry over to the following registration year. It should be noted that these annual fees are in addition to the development application fees. 1 A council may grant an approval that allows a person who conducts a restaurant adjacent to a footway of a public road (being a road that is vested in fee simple in the council) to use part of the footway for the purpose of a restaurant. 2 An approval may be granted on such conditions (including conditions as to payment in the nature of rent) as the council determines. 1 A person must not carry out development on unzoned land without the consent of the consent authority. 2 The consent authority may grant consent required by Subclause (1) only for development that may be carried out with or without the consent of the consent authority on land immediately adjoining that unzoned land that is within a zone identified on the map. § Any physical barriers, planter boxes or other means used as delineators are permitted and must be kept within the approved outdoor dining area. § Outdoor advertising on the furniture or any physical barriers or within the outdoor dining area is only permitted in accordance with Council’s Development Control Plans (DCP 2 - Advertising Sign Code and/or DCP 10 - Exempt and Complying Development. § All outdoor furniture and/or physical barriers associated with the outdoor dining area are to be stored off the pedestrian footpath/public area outside the hours of operation of the business premises. § Council will allow cafés or restaurants to seek a variation of Alcohol Free Zones to permit the consumption of alcohol in designated outdoor dining areas, only where approval is granted under a formal lease agreement which requires a market value payment for the exclusive use of such area. § For trading tables and other structures, Council’s registration year is from 1 October to 30 September. Fees paid between 1 October and 31 March will be as indicated on the application form. Fees paid between 1 April and 31 July will be 50% of those indicated on the application form (for a 6 month licence). Fees paid and approvals granted, between 1 August and 30 September will carry over to the following registration year. It should be noted that these annual fees are in addition to the development application fees. As previously stated a Development Application is required to be submitted for the proposed use of road reserves and public land for A-frame signs, outdoor dining areas, street stalls, trading tables and other structures. The consent of Council will be required as the land owner. § Details of the method to be used to secure any signs and delineate the outdoor dining area, trading tables and other structures. For the purposes of this Policy, any development approval for signs, dining areas, trading tables or other structures will be regarded as approval under Section 68(3) Part E2 of the Local Government Act. § A licence is required to be obtained from Council for signs, trading tables and other structures. The licence will attract an annual fee determined by Council. § A lease agreement is required for the exclusive use of the outdoor dining areas on public land. A standard lease agreement will be prepared and reviewed annually by Council’s Solicitor. The lease agreement will specify that the proposed outdoor dining area is in accordance with the Development Consent issued by Council. All costs associated with the preparation of the lease agreement will be paid by Council and recouped from ‘rental’ payments. § The licence fee for signs, trading tables and other structures and the ‘rental’ for outdoor dining areas on Council owned/controlled land shall be based on ‘fair market value’. Determination of ‘fair market value’ will be undertaken by a Council appointed valuer and reviewed every five years, or as otherwise determined by Council. Fee and rental increases in between those five year periods are to be in accordance with the Consumer Price Index, or as otherwise determined by Council. This Section of the Policy only applies to proposals to establish a permanent street vending operation on public land and road reserves (which includes footpaths) within a commercial area. Other street vending operations such as mobile vans and hawkers are dealt with under a different approval process in accordance with Section 68 of the LG Act. Under Section 138 of the Roads Act 1993, certain works and structures cannot be erected and/or undertaken without the consent of the appropriate roads authority (being either Council or the Roads and Traffic Authority). The general terms of the consent are determined by Section 139 of the Roads Act. Section 139A of the Roads Act allows the road authority to issue a consent which imposes conditions permitting the use of a structure within the road reserve for the purpose of selling any article or service and requiring the payment of rent (thereby permitting street vending). Consents under the Roads Act for street vending are referred to as ‘street vending consents’ and these can only be issued for maximum period or 7 years (S139A(2)). The Roads Act requires that structures associated with the street vending must be maintained and if the structure affects the surface of the road (including the footpath) then the road surface must be maintained so as to allow a smooth passage of traffic. 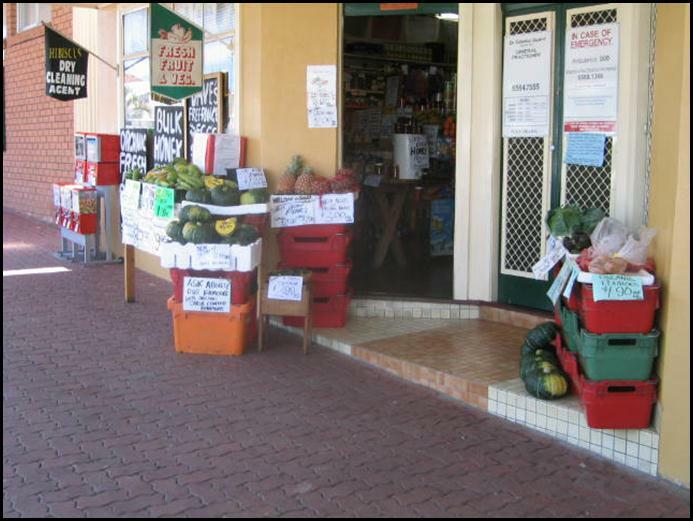 The following controls apply to the operation of commercial street vending activities on the road reserve and public land in the Nambucca Shire. § The fees for licensing of the street vending activities are to be set out in Council’s Revenue Policy. It should be noted that these annual fees are in addition to the development application fees. Street stalls conducted by community organisations and charities are allowed to continue to operate in their current locations during the same time periods, providing each organisation has its own Public Liability Insurance Cover, and a copy of the Certificate of Currency is submitted to the Chamber of Commerce at the time of each booking. § The street stall or the like shall be ‘manned’ at all times and may only be operated during hours that are generally consistent with the standard business hours within that town centre. The community/charitable organisation operating the street stall or other similar activity is responsible for obtaining Public Liability Insurance of not less than $10 million. Nambucca Shire Council is to be noted as an interested party on the Insurance Policy. Requirements for insurance may change, depending on advice from Council’s Insurance Broker. ‘There are several street vending activities, comprising mobile vans and hawkers. However, there are no permanent street vending operations, such as vegetable barrows, newspaper stands, etc, using Council’s footpaths. That Section 4.0 of the adopted Policy be amended to clarify that ‘Street Vending’ only applies to the exclusive use of an area in a permanent location on Council’s footpath in a commercial centre. Section 4.0 has been amended accordingly. During the budget workshops and deliberation on presenting a balanced budget, a number of programs were not able to be funded by Council in 2013/14 or alternatively the budget votes were reduced. Council resolved to remove the allocation of $3,500.00 from the 2013/14 budget for the transport of the Life Education Van. Council has had a long affiliation with the Life Education Van since the program’s inception into Mid North Coast schools. 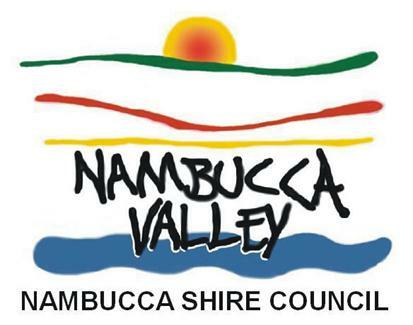 Council participates in the program by allocating funds to facilitate the collection of the van from an adjoining Shire and relocating to various schools within the Nambucca Valley. Life Education have requested Council’s reconsideration to fund the transport for this financial year as the imminent program is set to commence on 5 August 2013 leaving little time for alternative arrangements and sourcing of funds. 1 That Council provide an allocation of $2,800.00 from Council working funds towards the transport of the Life Education Van across the Nambucca Valley Schools for the 2013/14 program. 2 That Council advise Life Education that an annual application is now required to be submitted in accordance with Council’s donations policy for consideration of funding for the transport of the Life Education Van. · Adopt the recommendation to provide funding this financial year from working funds or the donation policy. · Not accede to the request and resolve not to provide funding towards the movement of the van. Life Education has requested Council’s reconsideration to fund the transport of the Life Education Van for this financial year. This request is worthy of consideration by Council due to the timing associated with the adoption of the Council budget, the recent adoption of the new donations policy and procedures, and the imminent program for the Life Education Van set to commence on 5 August 2013 which has left little time for alternative arrangements and sourcing of funds by Life Education. There has been a general perception of Council’s continued involvement with the transport of the Life Education Van across the Nambucca Valley and an annual allocation subsequently has been included within past budgets. This perception has led to correspondence being directly forwarded to the Workshop Foreman who is responsible for the movement of the van across the Valley, and Life Education not being made aware of the changes within Council’s policy and procedures. During the budget workshops and deliberation on presenting a balanced budget, a number of programs were not able to be funded by Council in 2013/14 or alternatively the budget votes were reduced. Council resolved to remove the allocation of $3500.00 from the 2013/14 budget for the transport of the Life Education Van. Council on 12 June 2013 approved donations for 2013/14 in accordance with its new Donations Policy and allocated $1000 towards the Life Education NSW parent subsidy program. It should be noted that while the donations vote was increased by 50% from $10,000 to $15,000 it does not provide sufficient funding to be able to fund all the requests received. The 2012/13 a budget contained an allocation of $3,100 with actual expenditure as of 30 June 2013 being $2,628.47. It would be remiss if Council considered this request in isolation as there is an application seeking a donation of $2,330.30 before Council for the waiving of DA fees within this Council meeting agenda. If Council resolved to support the application for the waiving of the DA fees, a balance of $2,640.00 for the remainder of the 2013/14 financial year will be available. Therefore Council may wish to consider funding the transport of the van from working funds. Life Education is the largest non-government provider of drug and health education to children and young people in Australia and has been operating since 1979. In excess of 4 million students have participated in their program over the past 32 years. Life Education New South Wales is a community-based, independent organisation at the front line of positive and preventative drug and health education. Approximately 350,000 children and 30,000 families take part in the preschool, primary and secondary programs each year. Helping young people make informed decisions about drugs and their health is at the heart of the program. Life Education Australia is a company limited by guarantee. It has an independent Board. It owns and continues to develop the Life Education program. Its members include its affiliated State/Territory members – Life Education New South Wales, Life Education Victoria, Life Education Queensland, Life Education South Australia, Life Education Western Australia and Life Education Northern Territory. The program is implemented across Australia by these affiliated member organisations, which have the exclusive right as well as the obligation to implement the program in their respective jurisdictions consistent with guidelines specified by Life Education Australia. There are social issues associated with this report. There are 10 age specific modules which make up the primary school program, each with defined educational outcomes that align with the curriculum frameworks for each State and Territory. There are potential risk issues associated with this report from adverse media coverage if Council elect to remove itself from the program and the van discontinues its program within the schools. There will be a direct impact of $2,800 on the current 2013/14 budget associated with this report should Council elect to adopt the recommendation. On 12 June 2013 Council approved donations for 2013/14 in accordance with its new Donations Policy and allocated $1,000 towards the Life Education NSW parent subsidy program. It should be noted that while the donations vote was increased by 50% from $10,000 to $15,000 it does not provide sufficient funding to be able to fund all the requests received. There is an application seeking a donation of $2,330.30 before Council for the waiving of DA fees within this agenda which, if Council resolve to support the application, will leave a balance of $2,640.00 for the remainder of the 2013/14 financial year. A variation to working funds to the value of $2,800 will be required should Council elect to adopt the recommendation. The removal of the allocation at the time of the budget deliberation resulted in a decrease in the level of service provided by Council. The level of service will remain unchanged in the event that Council elect to adopt the recommendation within this report. There is no staff or resourcing implications associated with this report as the workshop staff will transport the van as per past practice.